U.S. Patio Systems and Home Remodeling is a full-service bathroom remodeling contractor serving St. Paul, Minnesota, and other cities. Founded and owned by Craig Dauffenbach, who is a veteran of the home improvement industry, U.S. Patio Systems and Home Remodeling offers the ideal combination of high quality products, excellent service, and some of the best product and labor warranties in the business. 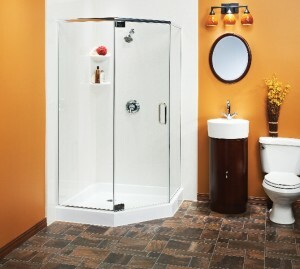 High quality products – The bathroom remodeling products that we use all come from well respected manufacturers. For example, we use bathtubs and showers (pans and surrounds) from Bathwraps; bathtubs and showers (pans and surrounds) from The Onyx Collection; and walk in tubs from Safe Step Walk-in Tub Co. We also install cabinetry, flooring, lighting, mirrors, and more – all from reputable suppliers. Excellent service – U.S. Patio Systems and Home Remodeling is an Authorized Service Provider for The Home Depot and has a high rating with the Better Business Bureau. Customer service has always been one of our strong suits as a bathroom remodeling contractor serving the St. Paul, MN, area. Warranties – When you buy a product from us, whether it’s a new shower or a walk-in tub, you will have the peace of mind that comes with knowing that the product comes backed by a lifetime warranty. For more information, please contact U.S. Patio Systems and Home Remodeling today. We are a full-service bathroom remodeling contractor serving St. Paul, MN, and the entire Twin Cities region. We also offer basement finishing, sunroom installation, pergola installation, patio cover installation, and more.